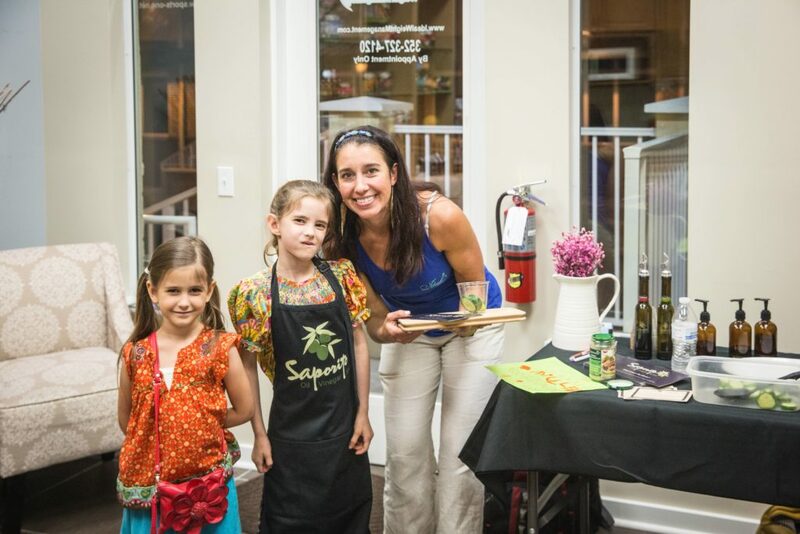 See our Calendar to know what’s happening at Saporito and follow us on Facebook or Instagram. Class availability varies, so give us a call to reserve your place. We love to collaborate and support small businesses, to feature others endeavoring to share health, wellness and goodness with our community. We enjoy bringing in local chefs, farmers, gardeners, nutritionists, health practitioners and various specialists to Saporito. We also teach through Santa Fe College’s Community Education program. 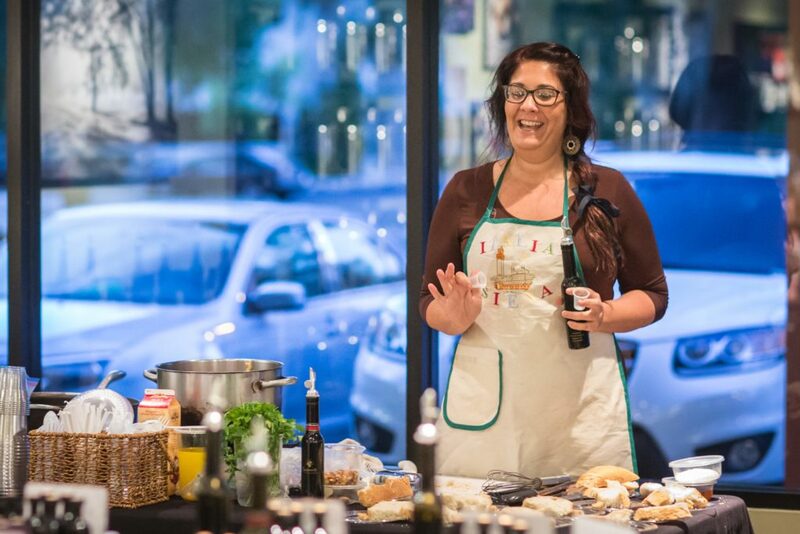 In these classes, students have the opportunity to learn about healthy eating and entertaining with fresh extra virgin olive oil and true balsamic vinegar and to find out what extra virgin olive oil really is, what to look for in olive oil, its uses and benefits. Students may taste authentic balsamic vinegar, imported from Modena, Italy and learn about their health benefits. 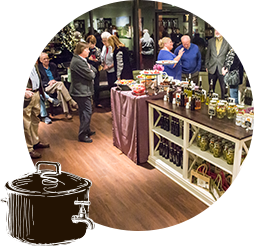 We provide samples from over 60 flavors, light refreshments and ways to pair oil and vinegar to add panache to gourmet, as well as, simple, everyday dishes. 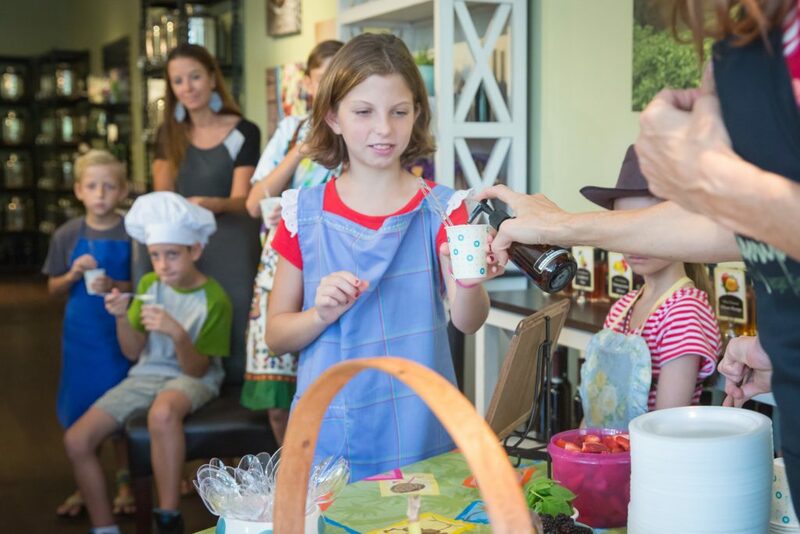 Health conscious and food-loving individuals alike appreciate our variety of educational classes. 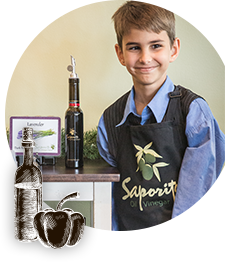 Also, Saporito has been privileged to participate in a variety of local affairs, such as, educational conferences, wellness workshops, spring and fall festivals, health and vendor fairs, farm-to-table dinners, wedding expos and holistic seminars. We provide samples for attendees to taste and, depending on logistics, may bring inventory available for purchase. If you would like us to attend or present at your upcoming special event, please contact us so that we may discuss this possibility with you. 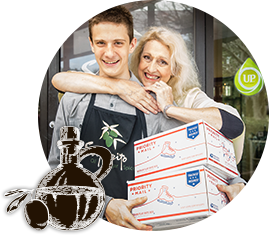 Sign up for our monthly Newsletter in order to stay informed about upcoming class schedule, special events, recipes, new products and shop promotions.